When Adah bat Shallum finds the governor of Judah weeping over the crumbling wall of Jerusalem, she learns the reason for Nehemiah’s unexpected visit—God has called him to rebuild the wall around the City of David. Nehemiah challenges the people of God to labor on the wall and in return, the names of their fathers will be written in the annals for future generations to cherish. But Adah has one sister and no brothers. Will her father, who rules a half-district of Jerusalem, be forgotten forever? Adah bravely vows to rebuild her city’s wall, though she soon discovers that Jerusalem not only has enemies outside the city, but also within. Can Adah, her sister, and the men they love, honor God’s call? Or will their mission be crushed by the same stones they hope to construct? I would like to thank Barbara M. Britton for giving me this copy of the book. This gift did not influence my opinion or review. I had the pleasure of reading Jerusalem Rising, the fictional account of a woman who was in Jerusalem at the time of the rebuilding of the wall under Nehemiah. The author did a great job of conveying the feeling of being in Jerusalem at that time. Told in the perspective of the daughter of one of the rulers of the city who was not content to sit back and remain in the traditional role of a single woman at that time, she showed courage to stand for what is right, to support her father and Nehemiah in the rebuilding of the wall, and to encourage the Jerusalemites to trust God and not be afraid in the times of trouble. I enjoyed the way the author told the story of this historical period without making it sound like she was reciting facts. And yet she was able to relay the events told of in the Biblical account in great detail. Barbara M. Britton was born and raised in the San Francisco Bay Area, but currently lives in Southeast Wisconsin and loves the snow—when it accumulates under three inches. 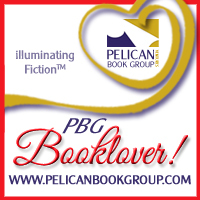 Barb writes romantic adventures for teens and adults in the Christian fiction and Mainstream markets. 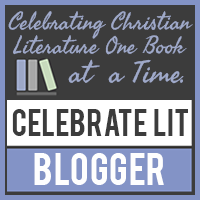 She is published in Biblical fiction and enjoys bringing little known Bible characters to light in her stories. Barb is a member of the American Christian Fiction Writers, the Society of Children’s Book Writers and Illustrators, Romance Writers of America and Wisconsin Romance Writers of America. She has a nutrition degree from Baylor University but loves to dip healthy strawberries in chocolate. You can find out more about Barb and her books on her website.